When post-consumer carpet (PCC) can avoid landfill and moves onto the recycling process, there are a wide range of possibilities for its next destination. Up to 30 percent of recycled PCC is used to produce new carpet face fiber and backings. Additional opportunities for used carpet materials include the creation of building materials, automotive products and more. In this Product Spotlight post, we’ll take a look at GeoHay, a line of water management products created from post-consumer carpet. Along with erosion and sentiment control, GeoHay products are also designed to absorb heavy metals and hydrocarbons, and filter clean water back to the environment. First, GeoHay products help divert used carpet from landfill by incorporating PCC materials into their construction. 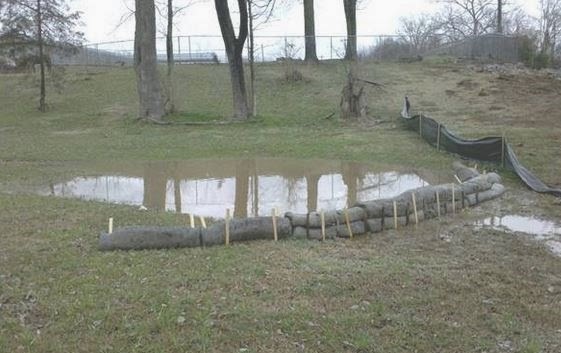 During use, the bales manage contaminated run-off and storm water discharge to help improve the surrounding environment. 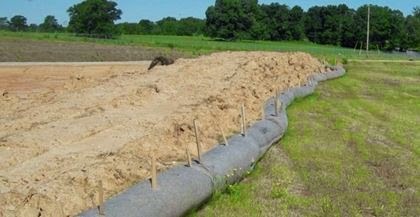 Depending on water and soil conditions, GeoHay bales can also be reused between projects. Last, a responsible end-of-life solution is in place for all GeoHay products to avoid landfill. Because of their completely sustainable design, GeoHay products exceed the Environmental Protection Agency (EPA)’s regulations for storm water discharge and sediment control, and also contribute to LEED points. We encourage you to visit the CARE website to learn more about the wide range of products created from PCC. We’ll also continue to explore the many possibilities for recycled carpet content each month on the CARE blog! Our Annual Conference is quickly approaching! 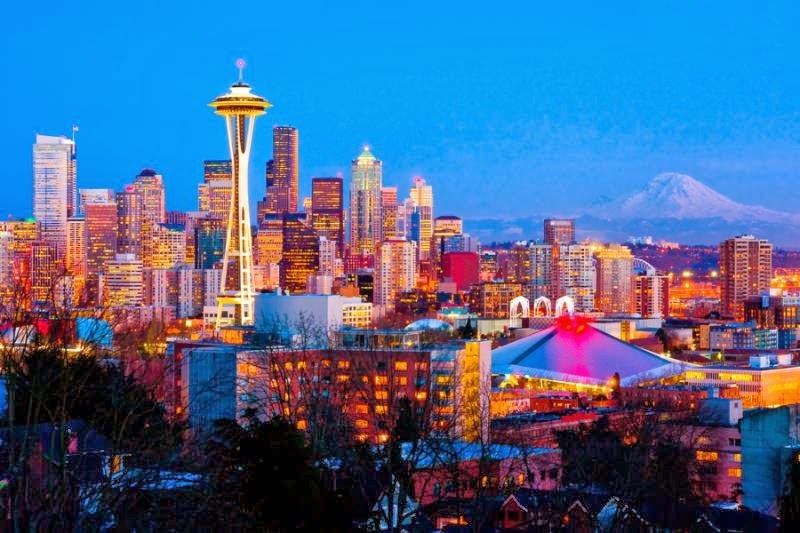 Planning to join us in Seattle? Register before Friday, March 21 to take advantage of a 20% savings in registration price! Be inspired by top leaders in our industry! If you are a mill representative, specifier or carpet dealer, offering a carpet recycling service to customers can be a huge advantage to your business. Especially for green-conscious clients, the option to recycle rather than send their used product to landfill is ideal – and can even be profitable for you. However, carpet is a complex product to recycle. As of now, there’s no one ideal way to recycle used residential or commercial carpet – but there are opportunities to find solutions in your market by working with a local recycler. The first step is to find carpet recyclers in your area. 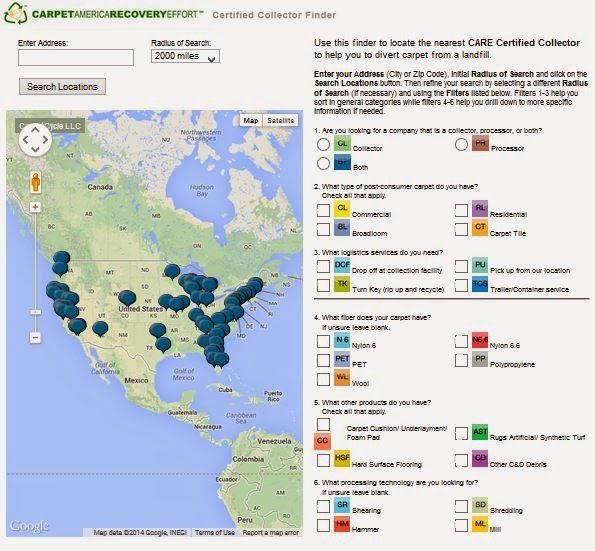 The CARE website features a Certified Collector Finder, which can help you identify partners nearby. From the search results, choose and contact a local recycler, and inquire about partnership opportunities. The recycler will share options for recycling carpet through their facility, which usually requires delivery of carpet to their location or they may arrange for used product to be picked-up from a jobsite. Keep in mind, many recyclers are still wary of handling carpet because not all fiber types can be recycled. When non-recyclable carpet is accepted, but must be sent to landfill or wasted to energy, it comes at an expense to the recycler. In the end, forming a relationship with a recycler should be a “win-win” scenario for both of you. For you, it’s often less expensive to recycle carpet for your customers than to send to landfill. For the recycler, your partnership offers steady access to materials. As with any business relationship, the key is to determine long-term, mutually beneficial options. Developing a recycler partnership will certainly require an investment of time and coordinated efforts. However, the return will be a new, profitable option for your customers, and the chance to give new life to old carpet. In the meantime, CARE continues to develop market-based options for carpet recycling. To learn more, visit to the CARE website at www.carpetrecovery.org.